What's Steam been doing in the nine months since Valve last released detailed statistics? Adding another five million users and more than 200 new games, for starters. Steam exploded in 2009, and that explosion continues to expand well into 2010, with a record number of users driving a record amount of sales. With more than five million users joining the service since January and peak concurrent users hitting the three million mark, Steam sees more than six million unique gamers accessing its servers every day. Those numbers add up to 178 percent growth over the previous twelve months, with sales up 200 percent. 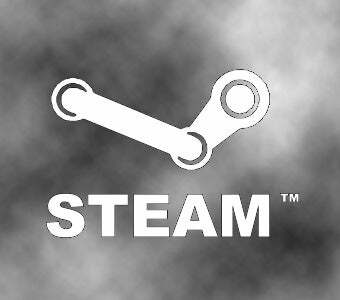 Valve met the massive Steam demand by increasing Steam's infrastructure. It's now capable of handling 400 gigabytes per second, more than capable of distributing the more than 1,200 games now available for download. Other impressive numbers include more than 200 games adopting the Steamworks suite of tools since their 2008 release, and more than 100 million games saved via the Steam Cloud service. "Steam is on track to record the biggest year in its six year history," said Gabe Newell, president of Valve. "The year has marked major development advances to the platform with the introduction of support for Mac titles, the Steam Wallet and in-game item buying support, and more. We believe the growth in accounts, sales, and player numbers is completely tied to this work and we plan to continue to develop the platform to offer more marketing, sales, and design tools for developers and publishers of games and digital entertainment"
Are any Kotaku readers not members of Steam at this point? Sound off!